"Universal Tennis has a compelling plan, the capabilities and resources, and the innovative products and ideas to improve the tennis ecosystem. I am excited to work with the company and their world-class partners to provide solutions that will positively impact tennis. 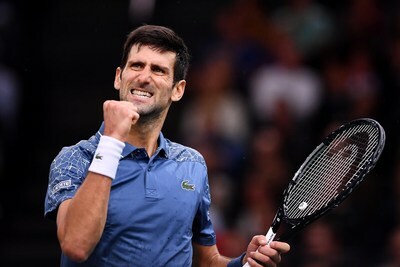 I encourage all nations, the ITF and the governing bodies to join our collaborative effort to bring about long lasting positive change benefiting everyone in tennis," said Novak Djokovic, world singles No.1 and 14-time Grand Slam Champion. Over the past year, Universal Tennis and UTR has accelerated its growth to become a leading, premier global tennis technology platform. In addition to the UTR Powered by Oracle global rating system, the Company has been releasing its new UTR engagement platform to increase tennis participation by giving organizers the tools to easily run tournaments and events based on player UTRs, letting players connect and discover opportunities for level-based tennis, and most importantly, giving all players worldwide - not just elite tennis players - the ability to get their two-decimal rating on the UTR Powered by Oracle system. UTR's engagement platform has shown to dramatically increase participation, engagement and enjoyment for players while providing economic benefits to tennis businesses. Leading academies, professional organizations, colleges, high schools and clubs - including Rafa Nadal Academy by Movistar, Good to Great Tennis Academy, Kim Clijsters, IMG, Saddlebrook, OrangeCoach, Professional Tennis Registry (PTR), the United States Professional Tennis Association (USPTA) and the Intercollegiate Tennis Association (ITA) - are among the many worldwide that have adopted the UTR Powered by Oracle rating system and UTR engagement platform. Universal Tennis is continuing to release new products and solutions to help players and organizers at all levels. To learn about the benefits of the UTR engagement platform and how it can support the growth of tennis in your community, please visit www.MyUTR.com. You can learn more about the rating by watching the "What is UTR Powered by Oracle" video. Universal Tennis delivers innovative solutions to make tennis more affordable, accessible and fun. The Company's UTR Powered by Oracle global tennis rating system and UTR engagement platform are used by players, clubs, coaches, organizers, academies, colleges and tournaments worldwide. Today, UTR uses data from over 10 million matches from over 1 million+ players in more than 200 countries and is growing daily. To learn more visit www.MyUTR.com.